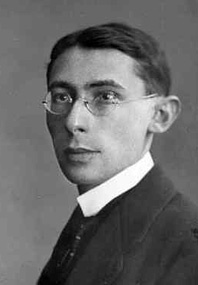 Hans Gál (1890-1987) was a prolific composer, teacher and scholar throughout his long life. At the height of his powers and his popularity, he was forced to leave Germany and Austria, never again able to achieve the cultural significance he had enjoyed during the years of the Weimar Republic. Gál arrived in England just before the war, and his assimilation was postponed when he, like many other Jewish refugees, was imprisoned in several internment camps for enemy aliens. After the war he became a revered figure in Edinburgh's musical life and continued composing well into his nineties. Gál was born near Vienna in 1890. Unlike many other composers of the time, he did not really become seriously interested in music until his early teens. Rather, he was a well-rounded child with a broad cultural background. This stood him well in his career, which represents an unusual synthesis of scholarship and creativity. He was drafted into the army in 1915 and spent time in Serbia and the Polish Carpathians. While he had many tasks to perform he kept up with his composition, sowing the seeds for his first important opera Der Arzt der Sobeide (Sobeide's Doctor) set in 16th-century Granada. This work, drawing on Spanish musical idioms received rave reviews at the time and launched Gál's successful career as an opera composer. The 1920's was the time of Gál's rapid rise as a composer and teacher. Awarded the Rothschild Prize in 1919 he was appointed as a lecturer in Music Theory at the University of Vienna. He also worked at the Neue Wiener Buhne where he provided instrumental music for the theater. In 1924 his opera Die Heilige Ente (The Sacred Duck), with a Chinese setting and a libretto by Karl Michael von Levetzow was premiered and was a great success, performed in more than twenty theaters, remaining in the repertoire until 1933. His many contacts at the time with conductors George Szell and Erich Kleiber, and with composers Berg and Webern, went hand-in-hand with his growing popularity as a creative figure in the Weimar Republic. He won a prize for his first published symphony, and his Overture to a Puppet Play became an international hit. It was during this period that he also began to work as a serious scholar. He was co-editor of the complete works of Brahms, along with Eusebius Mandyczewski, editing ten volumes, and he also edited numerous volumes in other series as well. In 1929 Gál became Director of the Conservatory in Mainz, a sign of great distinction since he was chosen from more than 100 applicants and supported by such figures as Fritz Busch and Furtwängler. At this point he was a leading figure in German musical life, and his activities as a composer continued to thrive in the genres of chamber music, orchestral music and opera. It was during this period that he completed what was to be his last opera composed on European soil, Die Beiden Klaas (Rich Claus, Poor Claus). Gál's standing in the world of German music came to a complete and sudden end in March of 1933 when, shortly after the Nazis occupied Mainz, Gál was summarily fired from his position at the conservatory. Misunderstanding the nature and intentions of the Nazis, Gál tried for more than a year to protest this decision, eventually moving back to Austria. During this period several planned productions of Die Beiden Klaas were aborted because of the political climate, including a performance to be conducted by Bruno Walter at the Vienna State Opera. It was only premiered in England in 1990, on the occasion of what would have been the composer's 100th birthday. Gál's return to Austria was no happy occasion. Political activity in Austria already forecasted the Anschluss of 1938. Gál, like many others, had to scramble to make ends meet, yet continued to compose and occupy himself as an editor. His most ambitious piece of the time was De profundis, a setting of Baroque poems. Composed at a time of despair and scant hope, it was, in the composer's words dedicated to the memory of this time, its misery and its victims. Things, however, would not get better, and by 1938 the Gáls realized they would have to get out. Several family members who stayed behind were either killed or committed suicide. Intending originally to come to the United States, Gál settled in England with his family. At first his luck was good: he met one of the great figures of English musical life, Sir Donald Tovey, who very much wanted him to become a part of the conservatory in Edinburgh. Shortly after this, though, Tovey had a heart attack, and Gál's plans did not come to fruition. Gál remained in London and did not move to Edinburgh until war broke out. In one of the less pleasant moves in the history of the Second World War in Britain, Winston Churchill, like Roosevelt in the United States, decided to imprison many so-called enemy aliens. This absurdly created a situation where actual Nazis were imprisoned side by side with Jewish refugees who were fleeing Nazism. Gál was arrested in March of 1940 and kept imprisoned, first in Huyton near Liverpool, and then on the Isle of Man until the fall. While the process was disorienting, unpleasant and sometimes frightening, many musicians and intellectuals were incarcerated, and they quickly set up lectures and concerts. Gál wrote a Huyton Suite for two violins and flute, the only instruments available, and later wrote music for a revue, What a Life based on camp experiences. Although the moments after the war were filled with uncertainty, Gál finally did receive a position at the University of Edinburgh, and was awarded an honorary doctorate there in 1948. He had also been offered a position at the University of Vienna, but decided he could not uproot once again, though he went back in 1958 to receive the Austrian State Prize. Gál became an essential part of Edinburgh's musical life, particular with his role in the creation and ongoing success of the Edinburgh Music Festival, under the initial direction of Rudolf Bing. For the remaining forty years of his life, following the end of the war, Gál was productive as a teacher, scholar and as a composer. It was during this period that he wrote monographs on Brahms, Wagner, Schubert and Verdi. Although he no longer commanded the European stage, as he had during the 1920s, Gál's compositional activity was unabated, and his music from this period is attractive, innovative and distinctive. Considering the composer's identification with the music of his native Vienna, and his love for Brahms, Schubert and Johann Strauss, as well as his interest in Early Music, it is fitting that his last listed composition is a Moment Musical for treble recorder composed at age ninety-six the year before his death. From his earliest compositions Gál's compositions evince a kind of double unity. Not only are they beautifully constructed (Gál wrote himself about intuitive organicism) but they relate to each other in a kind of graceful tracing. From the early cantata Von ewiger Freude, with its bright sounds of double women's choirs and harps, to his final works, written almost seventy years later, Gál's work exudes a sense of balance and control. The sources of his sound lie in a synthesis of the Viennese classical style with a commitment to Early Music, including madrigals and choral sounds. To this he adds a kind of lucidity that owes something to his lifelong love for Bach and Chopin. Gál's music does not feature a continuous supply of bracing dissonance nor did the composer believe that only ugliness can reveal great truth. While Gál's use of harmony is inventive and refreshing, he rarely ranges into the world of conventional modernism. Rather, it sounds as if much of his music was written by the characters in Humperdinck's Hansel and Gretel; his compositions have poise, clarity and, despite their seeming simplicity, usually evade expectations. Even the Totentanz from Gál's somber De profundis written during the bleak years of 1936-37 never succumbs to pessimism, nor does it aim to create sonic pain. Rather it creates its effect through structural crescendos, and much of its power lies in its restraint. Some creative figures put themselves most fully only into a select group of masterpieces, writing only perfunctorily for their other compositions. Gál, like Schubert, puts his best self into all his compositions, and like Schubert, Gál has a distinctly Biedermeier side. Not only is one of his fine compositions called Biedermeier Dances (Op.66), but many of his pieces display the characteristics of the best hausmusiksome, like the exquisite Divertimento for Two Alto Recorders and Guitar, sound positively New Agey. During the height of modernism his aesthetic would have been discounted, immediately disqualifying his work from any consideration of its skill or, more importantly, its effect. This is not to imply that Gál is glib, or that he lives on the musical surface. Quite the contrary, in works such as his 1932 Violin Concerto, the Act III duet from Die heilige Ente, the Canzona from the String Quartet No.2, or even in the lilting seventh variation of the Improvisation, Variations and Finale on a Theme, the composer creates a kind of exquisite and transcendent sound as transparent as it is powerful.